Our Standard BSI First Aid Kit is fully compliant with the latest BSI BS8599-1:2019 regulations. The standard range first aid box is made from tough, durable plastic. The box also has a carry handle and strong clips to keep the content secure. 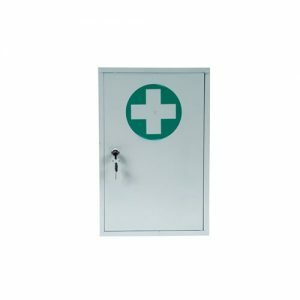 In addition, the Standard BSI First Aid Kit has an optional clip in wall bracket which can be supplied with the box to ensure the First Aid Kit is kept in the same place at all times. The bracket can be released quickly in the event of an emergency. 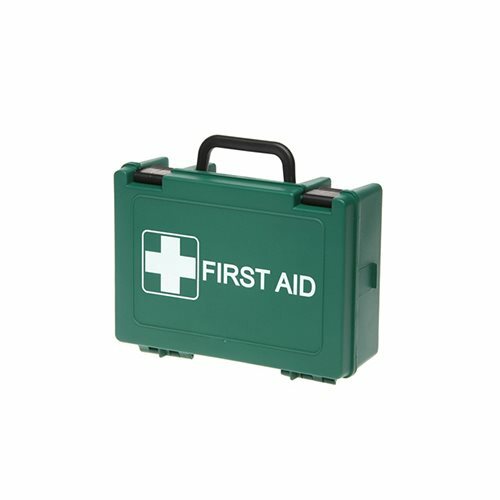 Our BSI range of first aid kits are also available in Premium, Deluxe and Metal Cabinet ranges. 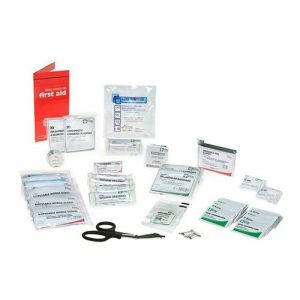 What size of Standard BSI First Aid Kit do you need? 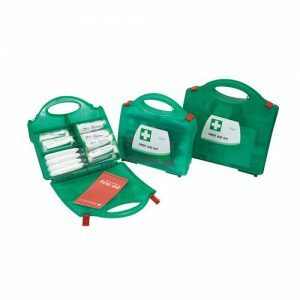 Choose from our range of BSI First Aid Kits available in three sizes small, medium and large. To comply with the BSI BS8599-1:2019 regulations is dependent on the level of risk in your workplace, see help chart below.